“Fortnite” developer Epic Games has launched its own digital download storefront, the Epic Games Store, at a key juncture in the Holiday season. Epic Games, whose wildly popular, free, last-person-standing action game “Fortnite” is available across computer, console and mobile, not only makes and publishes its own video game titles, but also develops and maintains a well-known, well-respected development suite called the Unreal Engine. 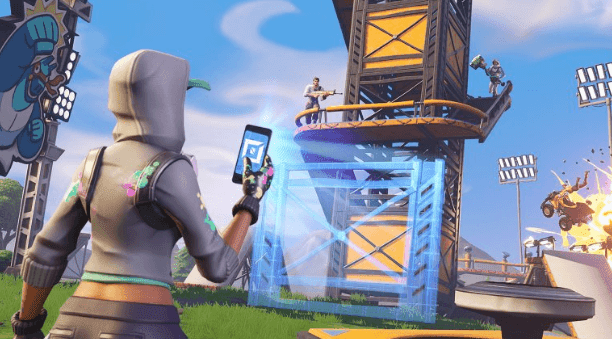 Just as “Fortnite” is expanding to accommodate more creative applications, so Epic Games is repositioning itself to occupy territory associated with industry giants Amazon and Steam, among others. Epic is appealing to developers by undercutting competition in terms of its sales percentage, 12 percent instead of the standard 30 percent store cut, a policy it already applied to Unreal Engine licensees and had credited to the financial success of revenue earned through “Fortnite” cosmetic tweaks and season-based loyalty program. And as well as having an established base among “Fortnite” players, it’s courting new customers with a series of rolling free giveaways until the end of 2019, starting with highly impressive sci-fi underwater exploration “Subnautica” on Dec. 14 and acclaimed jump’n’run platformer “Super Meat Boy” on Dec. 28. That double-whammy of developer cut and free games allows Epic to challenge both Steam, whose 30 percent cut has been industry standard, and Amazon, whose streaming network Twitch has its own giveaway system set up for those within its Twitch Prime (i.e., Amazon Prime) membership tier. There’s also a revenue share program for online streamers that lets developers incentivize online broadcast of their games’ playthroughs. The Store launched Dec. 7 with a selection of PC and Mac games, with Android “and other open platforms” planned for 2019. It made its presence felt with a store logo displayed prominently at the end of many trailers premiered at The Game Awards on Dec. 7.